Have you heard the news? Anita’s University is coming to Ames for a 2-day education event! The best just got better with our re-invented Embroidery parties. 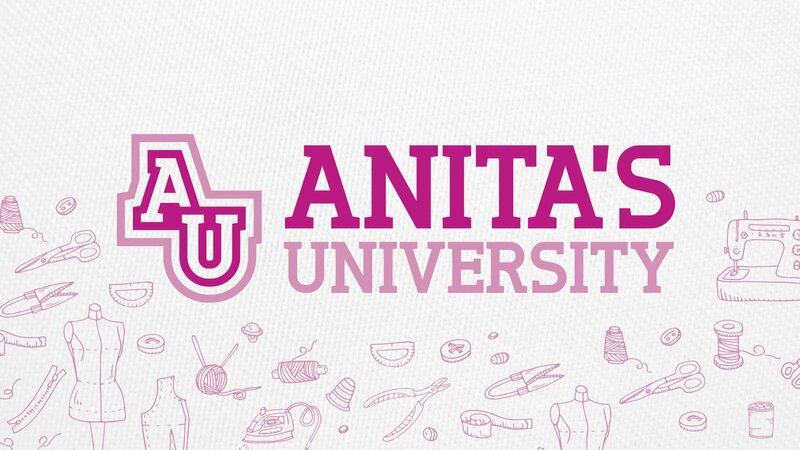 Anita’s University is an educational series featuring a variety of University classes to come. The launch of Anita’s University will feature it’s premier class titled “Embroidery Made Easy 101”. We pride ourselves in bringing the best events to our customers and being the best means we have to keep up with changes and provide new and exciting ideas to all. Anita’s University will be sure to wow new and expert embroidery fans alike in this hands on learning format. Our new style of events will bring a new and engaging atmosphere for everyone. Just for attending you’ll receive a full-color 3 ring binder containing all of the education that we will cover over the course of the 2 day class PLUS additional education for take home learning. In addition, you’ll receive a USB stick that contains over 200+ designs. The designs will be organized by technique for easy access. Event exclusive specials, prizes, giveaways, and most importantly... The Most Education You’ve Ever Received! Graduate to the top of the embroidery class after attending our University. To see class syllabus, including photos of projects similar to the 7 you'll be stitching, click here. Please note this is a two day class occuringon both Friday and Saturday with the same participants both days.